Plenty of great clips and moments from the DecoBMX team during November, featuring Chad Degroot, Terry Adams, Lee Musselwhite, and many more. Jean-Francois Boulianne just dropped this really awesome “The Charlatans Odyssey – BMX Flatland Greek Holiday” edit that at over 21 minutes long deserves your attention. Grab a cuppa, sit down and watch a nice mix of riding and lifestyle from Lee Musselwhite, Sakis Doumas, Romain George, Rémy Dunoyer, Aggelos Ignatiou, George Kikos, Grigoris Tsiapalis, Ben Badi, Anne-Sophie Chips and Jean-Francois Boulianne. Really enjoyed this one! 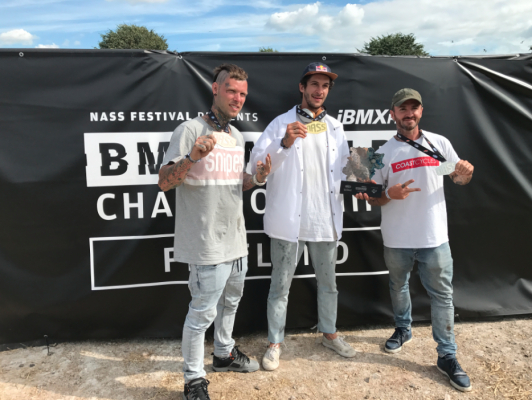 Congratulations to Matthias Dandois who yesterday held on to the defence of his 2016 World title with a win at the 2017 iBMXff World Championships at the NASS festival. Matthias took the world title with another flawless run, followed by Alex Jumelin who also rode flawless, and rounding out the podium, Dominik Nekolny. I have the top 4 runs, so I will post those up shortly, beginning with Matthias’ winning ride. Every year at the King of Concrete contest at Southsea Skatepark, there would always be a session at the nearby Canoe Lake basketball courts. This one features myself, Mike Sommer, Lee Musselwhite, Alexis Desolneux and Chase Gouin. We start the month of October with an amazing edit!!! It feels like I have given out the Must Watch tag a lot recently, it’s already been quite a week for progressive edits and today Joe Cicman’s new Curriculum Vitae 2016 certainly lives up to the hype he’s thrown at it! Curriculum Vitae 2016 documents Joe’s progressive journey as he has pushed his riding month to month working on new ideas for the Master of Creativity confine contest. The edit really builds from June, and the format quickly going month to month really makes this easy on the eye! Joe has really pushed the Jaffa Whip concept to new levels and the banger what Joe is calling the “Terradoom” at 2:17: a no handed crackpacker no handed jump to no handed backyard is absolutely bonkers and ballsy to say the least! I will stick my neck out and say that is one of the moves of the year so far! This left me wanting more, as all great edits do. 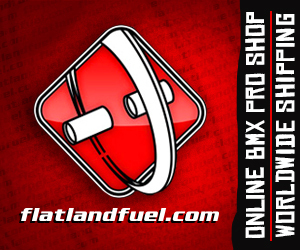 Thank you Joe you just pushed flatland up a few notches! 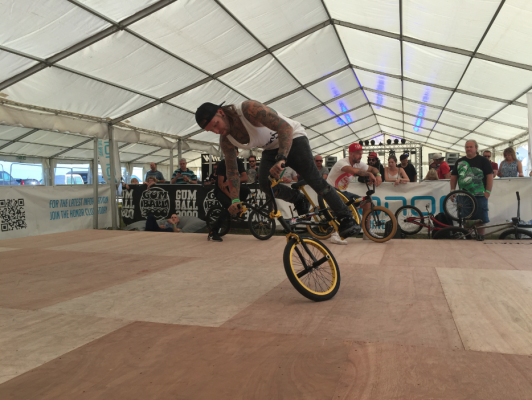 Nothing but good vibes this past weekend at the UK Flatland Championships in Birmingham. I made the trip up by train on the Friday, with just one change at Southampton, the train is on the doorstep to the Birmingham NEC venue. When I arrived Matti was already dialled in with banners set up, PA ready, just the floor to clean again, and judging sheets to organise which I was one of my jobs to do. 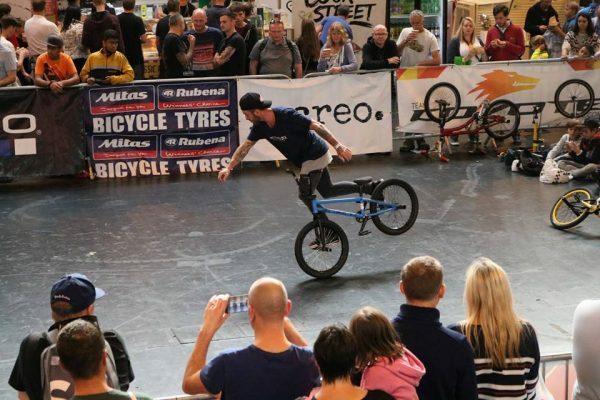 I’m still injured so I watched as Matti, TGM Maz and Chris Brook enjoyed an empty floor. Mario wanted to arrive early and get used to the fast floor, and even learnt a nice new line, flail boomerang to hang 5, looking forward to seeing how he develops that move. in the future. Chris coasted no footed manuals across the floor with ease and Matti who was suffering with a bad back was working on stemrollers. Nice lil edit by Yinka Thomas from this weekends Wheels and Finns Festival, Round 1 of the UK Flatland Championships featuring the likes of Dominik Nekolny, Lee Musselwhite, James White, Alex Jumelin, Jason Forde, Steve Green, Andy Hale, Trevor Lacey, Johann Chan, Remuis Simion, and Amos Burke! Good times in Joss Bay, Kent, roll on next weekend for Round 2 at the Cycle Show at the NEC!! What an epic weekend over at the Wheels and Finns Festival in Joss Bay, Kent. After two days at the event, most of the hard work was done. We woke up to blue skies, and with the festival being so close to the beach, meant only one thing. Chilled breakfast on the beach, before the day really got started!